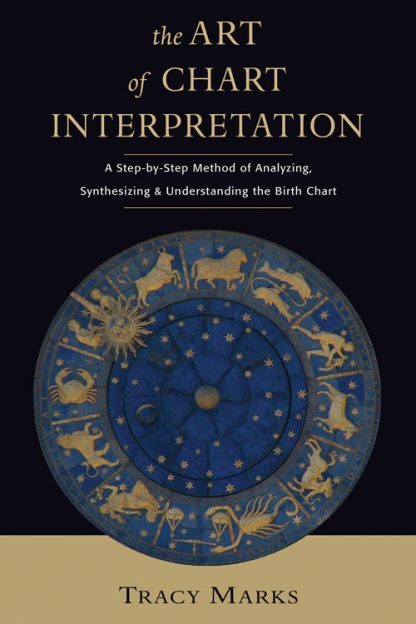 Red Wheel ∕ Weiser Online Bookstore | The Art of Chart Interpretation: A Step-by-Step Method for Analyzing, Synthesizing, and Understanding the Birth Chart by Tracy Marks, M.A. Learn how to determine and interpret the essential personality traits indicated by the birth chart. Interpreting a horoscope effectively and determining an individual's primary qualities, strengths, and weaknesses requires skill in collecting and organizing astrological information. The Art of Chart Interpretation presents a practical system for amateur and professional astrologers confused by the many details of the birth chart. With clarity and insight, Tracy Marks provides a comprehensive method for collecting and evaluating astrological data. Her step-by-step techniques and worksheets aid astrology students in developing their abilities to analyze and synthesize the many facets of the chart and to grasp the essential features of the personality. Tracy Marks, M.A., is one of the most popular and original writers in modern astrology, combining her training in psychotherapy with many years of experience in astrology. Her transformational astrology books include Astrology of Self-Discovery, Art of Chart Interpretation, and Your Secret Self: Illuminating the Mysteries of the Twelfth House. Her work has been translated into nine languages and has sold over 125,000 copies.